The Doors will release an expanded, 50th Anniversary Deluxe Edition of their self-titled 1967 debut album on March 31. Packaged in a 12 x 12 hardcover book, the 3CD/LP set will include remastered stereo and mono mixes of the original record alongside a live recording from a March 7, 1967 performance at The Matrix in San Francisco, CA. 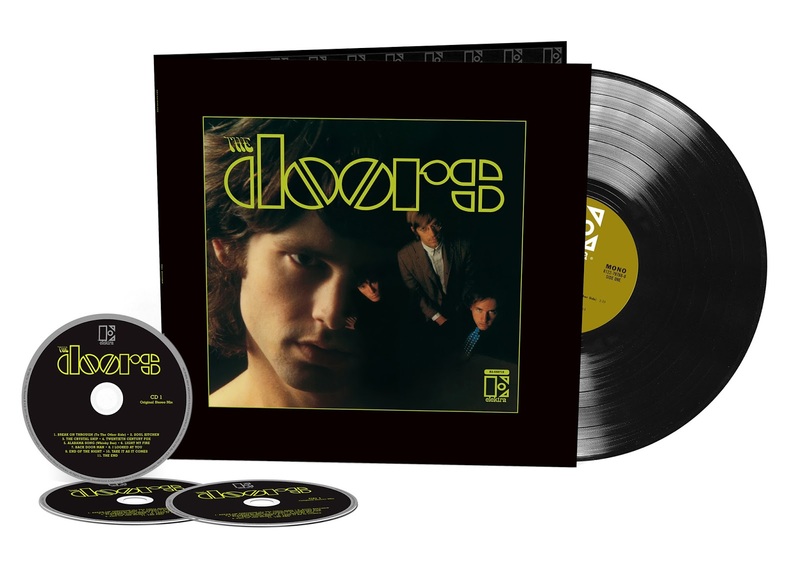 Remastered for the first time in nearly 30 years, the stereo mix of “The Doors” makes its return to CD after a decade while the mono mix makes its CD debut and also appears on the LP included. The Matrix concert recordings deliver eight songs from the band’s debut that were sourced from the recently discovered original tapes, which were previously thought to be lost; the upgrade tops a 2008 release of the material taken from a third-generation source. The Doors announced the expanded Deluxe Edition of their debut on January 4 – fifty years to the day of its original release. A full tracklisting can be found below the video.